I have always thought in education “Why reinvent the wheel?”, in education we have to share ideas…there is no time not to. Actually that’s a massive lie. When I was a PGCE and then a NQT I prided myself on making everything….from scratch. PPTs that would would literally take one hour to make and were mostly concerned with how animations made things bounce around the screen. this lasted around 3 years, I lived teaching and it was my WHOLE life. Then, inevitable, I grew up in my teaching career. I didn’t have time and it wasn’t worth it. It was a hard pill to swallow, I was praised for this amazing PPTs in observations by other staff (with comments like “How did you ever learn to embed in audio so it played by itself without any files save in the correct folder! ?”) and I felt like I was succeeding because I made them. But I wasn’t, it was style over substance and it was egotistical. A hard thing to admit. So this post is about sharing and I am giving prizes for doing so (well you lot did take the effort to make them so if you’re saving someone else time why not get some thanks…bar an online virtual hug from a teacher on the brink of a brake down!). The theme for this post of many sharing ones….STARTERS! I have done the round with starters too – classic cross words (when they were basically what a starters was), the 5 Ws (who, what, when, where, why), quizzes, puzzles, videos, on and on and on. I am still not sure where I stand on a “good” starter or even if I am decided what the point of them is (I don’t see them as pointless, just change my mind often on what they are there to achieve)…but here are some ideas. The idea of this is that the pupils have 5 questions for each session. Always of the same format that checks their prior learning and that can lead to the coming lesson. It can then be used to check progress. Below is an example from google and one of my own. Mine are currently already in booklets I use and pupils know to go straight to them every lesson. Benefits – Ready right from the start, check progress, easily marked (by teacher or pupils), link to learning and pupils get used to format, produced prior to lesson so good as settling activity too. Disadvantage – Need to get ready prior to lesson, need marking, no variation of style, “boring”. 2. Who, What, When, Where, Why? Basically this allow for pupils to look at an image and decide what is going on and simply answer why 5 W questions. They can then come back at the end and see how well it went. Benefits – Ready right from the start, check progress, no need to be marked (can be discussed at the end), link to learning and pupils get used to format, produced prior to lesson so good as settling activity too. Disadvantage – Need to get ready prior to lesson (but could be put on PPT and discussed so no printing). 3. Got ipads – how about kahoot?! This frees up any marking and can show progress easily in a lesson. 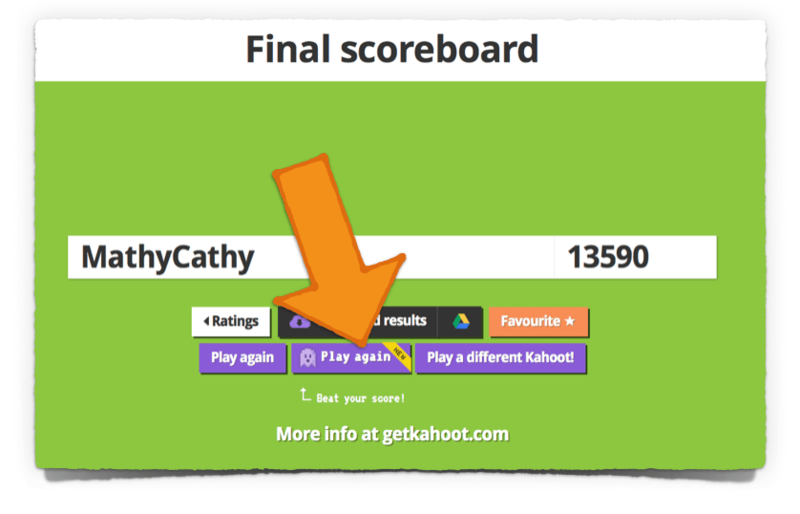 Kahoot is an online quiz app that pupils work through and it instantly marks it. You need an account and can then either make your own quizzes or use others. These could be used as a starter prior to learning. The unique part is then using the ghost function – this allows the pupils to try the same quiz at the end…the old “them” also plays (basically it says what they got wrong and how quick they were), the aim is then for them to beat their own ghost. This easily allowing to see progress of learning and competition, which pupil can love! Plus it sorts the plenary too! Benefits – Check progress, no need to be marked (kahoot does it for you and works out stats which you can email and print), link to learning and pupils get used to format, produced prior to lesson so good as settling activity too. Disadvantage – Need to get ready prior to lesson (but could be done if kahoots related to topic are online), requires phones, ipads or PCs, can take a while for pupils to logon so not really a settling activity. Some people think that the first thing needs to be an engaging activity and a video can sometimes be a great way to do this. Youtube is the best bet for this but adverts, songs etc can all do the job! Think outside the box or for something a bit different. Below is a link to one of my favourites for Religious Studies – many discussions started because of it! Benefits – No need to be marked , link to learning and pupils and gets pupils enthused for learning, no printing. Disadvantage – Need to get ready prior to lesson (to find suitable lesson), takes a while to find the right clip. So these are a few ideas, not the best, not the worst but things that might be of use. So now the next step involves you! Share your best idea for starter in the comment and share this on facebook and twitter to get as many ideas as possible! I will then put everyone that shared in a random name generator and you get sent a free book with more ideas (two brand new books to win for two helpful teachers). Book two lucky winners will get sent for FREE! Let’s not reinvent the wheel, let’s all spin on it together! Also if you don’t like an idea…just leave it, you don’t have to make any negative comments…after all we are the happy fun loving teacher crew! Previous postHead over heels – What I’d be tripping over myself to do if I were a head teacher. Next postExercise books…worth the paper they are written on? I love a silent thinking starter. Either a question that will be a focus of the lesson, or a quotation/teaching. For example ‘what is meant by evil’. It can then be used for discussion. Or refer back to it at the end of the lesson, to see how they apply what they have learnt to it. Has the added advantage of getting silence for the register without being too hard-line. As I have some small GCSE groups I will get them to research something for homework. The starter is then them sharing what they have found out – anything they didn’t find they add to their notes. It helps me identify what they have missed or misunderstood as well as where they are confident and accurate. Fab…please follow blog and share as other prizes will come up 😊 will do winner monday! You won! Can you go on my twitter @mrs_educate and direct message me address and I will get sent off! (This was completed using a random name picker from those who entered). I don’t want to be considered for the prize as I am a retired teacher, but how about the reverse of Who What, When Where Why. I gave my pupils a picture and they had to write their own questions around the outside of it, which they could then either answer in the plenary or give to another pupil/partnership to answer. They sometimes got a picture with characters related to lesson, where they had speech bubbles to fill in. The other thing I would sometimes do was put an object to do with the lesson and get them to either tell their talk partner or write down what they thought it was and how it might relate to what we were going to be doing in the lesson. The advantage was that as well as getting discussion going it gave you a starting point to your input.